So first, what is the Red Lip Challenge? 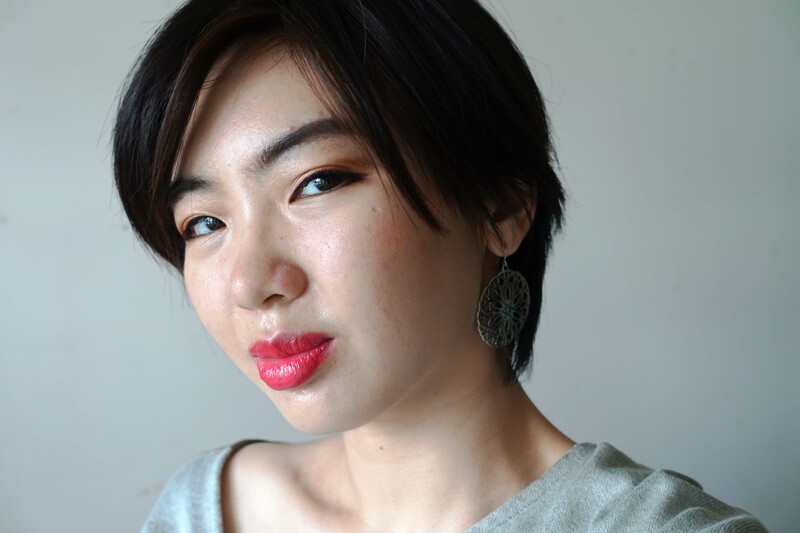 Over the next three days, I’m going to be doing a collaboration with Maria from www.glowmeaway.blogspot.sg, a really lovely girl I’ve met on Instagram. We’ve agreed to wear red lipstick (in different shades and finishes) for the next three days as a challenge. Check out her look for Day 1 here! What actually spawned this was when I saw a photo she’d uploaded of herself wearing Sephora Always Red Lip Cream. 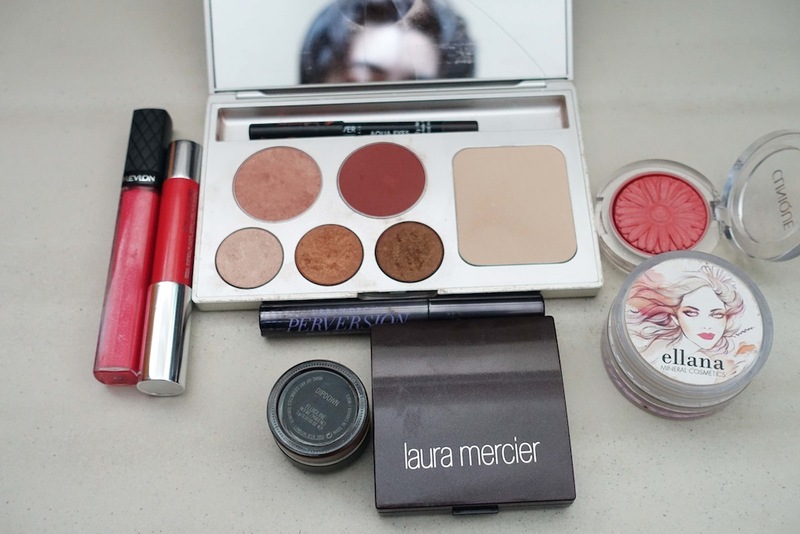 As you may know, this is my HG red and is perfect for creating beautiful glamorous looks. I usually wear this one for formal dinners, it’s so beautiful. Like seriously, look at that colour. See the rest of the look here. 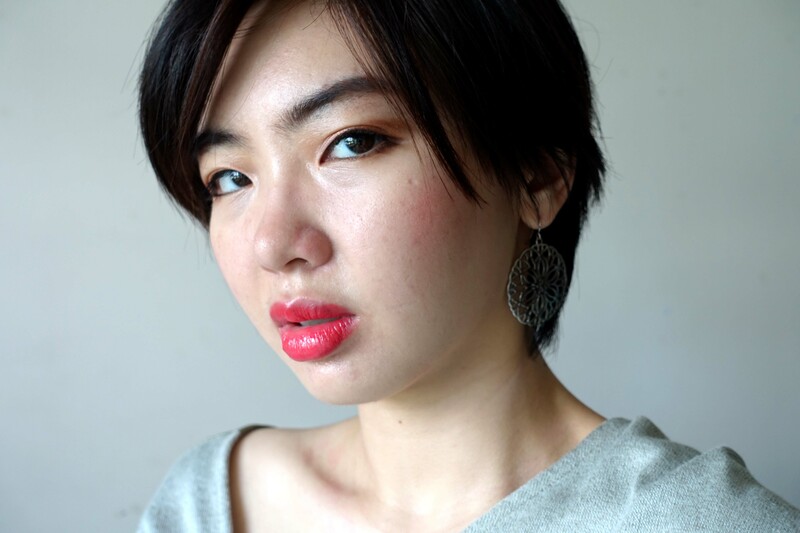 I’ve worn plenty of glamorous red looks before, so I’ve planned out (yes, I’ve actually planned this out like the makeup obsessive I am) three different kinds of red lips that work for more everyday makeup. Red lipstick is so beautiful after all, and shouldn’t be reserved for just special occasions. 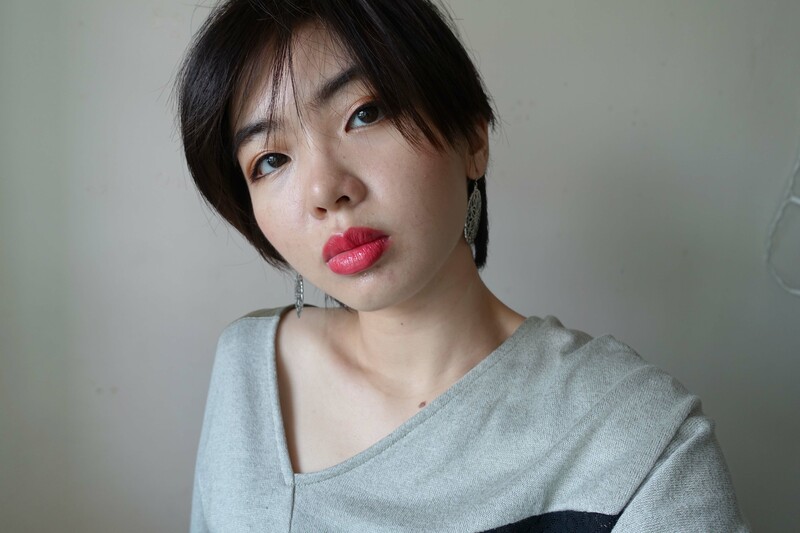 I’ve not ‘cheated’ (not really cheating I guess but I don’t know what else to call it) by using tints or balms; these looks will use intense colors to show how you can change up red looks, and how wearable red lipstick can be. 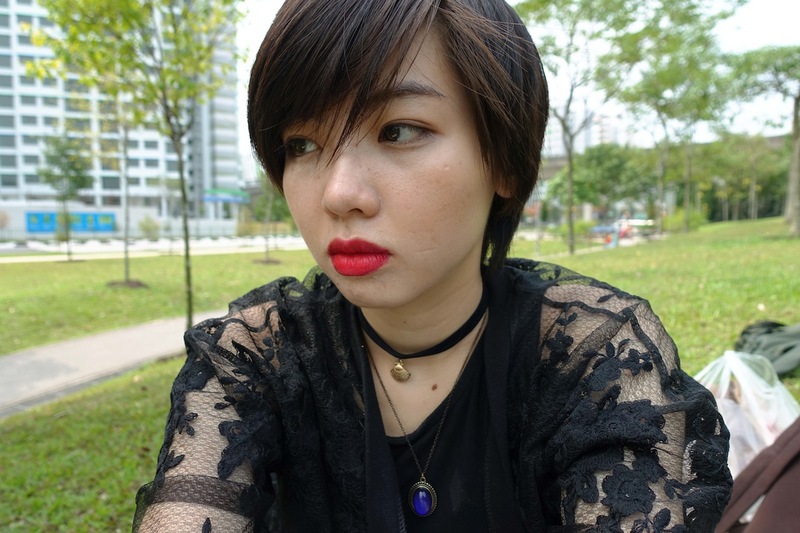 What I did leave out whilst planning the looks was an orange red lip, because I always turn to OCC Psycho for day-approporiate red lip looks and wanted to go out of my comfort zone. So for day 1, picked out a GLOSSY CORAL RED shade. This is a really casual way to wear a red lip, and goes perfectly with jeans and sneakers. 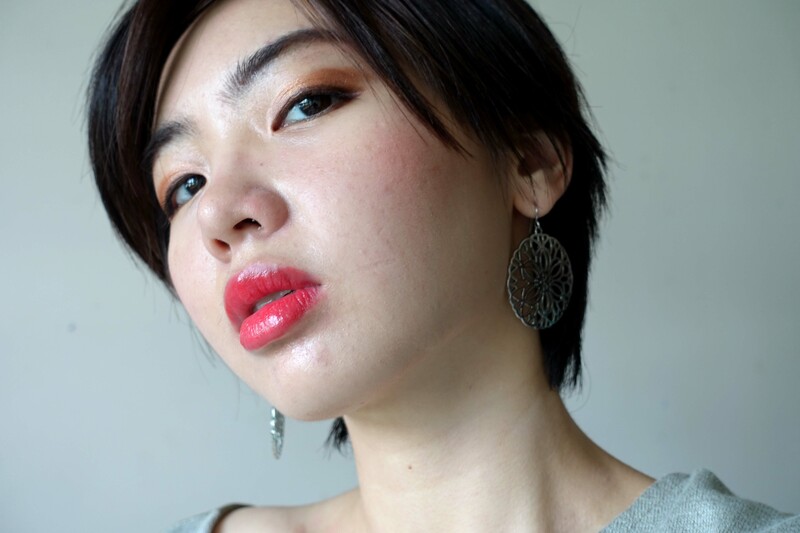 Coral reds are reds that have a pink-orangey undertone, and is a perfect summery shade for those who don’t really like orangey coral lipsticks, or who who are going into red lipstick for the first time and are intimidated by the ruby reds. I applied gloss on top to keep it all looking fresh. 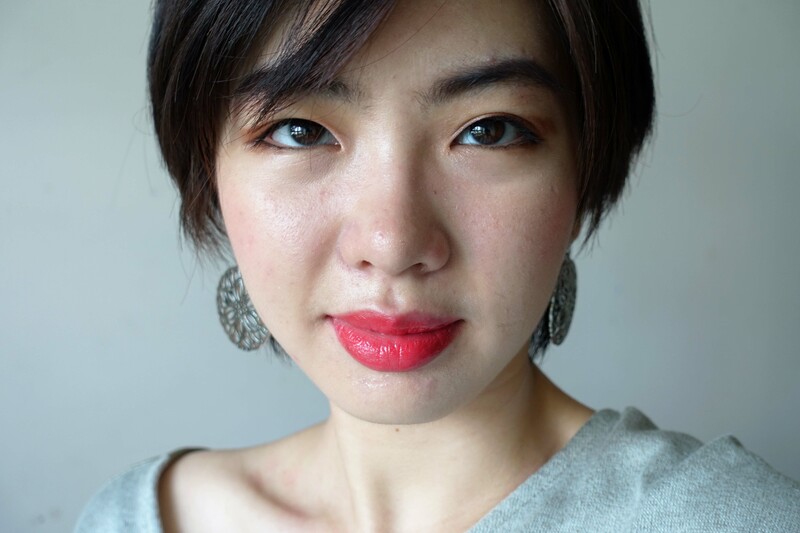 While most people recommend going with very very light makeup for the rest of the face when doing a red lip colour, I decided to keep the rest of my face looking as colourful as my lip by applying Clinique Ginger Pop on my cheeks for a warm colour, and bronzey eyeshadows on the eyes. I still kept fairly light coloured eyeshadows on the eyes so it wouldn’t overwhelm the lips, and didn’t really bring any colour above my crease (and I don’t have a lot of lid space) so that keeps the colour still looking fairly subtle. Do note though, concealer is your best friend when wearing a red lip Red lips tend to highlight any redness on the rest of your face, so if you have a lot of natural redness (like me because I always have acne somewhere) you’d want to cover that up. This entry was posted in Challenge, Collaboration, Looks and tagged Beauty, clinique ginger pop, Clinique Heftiest Hibiscus Chubby Stick Intense, Cosmetics, Ellana Mineral Cosmetics Loose Mineral Powder in Cafe Breve, Hourglass Mood Light Ambient Lighting Powder, Laura Mercier Secret Camouflage Concealer, makeup, makeup forever gypsy liner, Painted Earth Complete Face Palette in Bronze, Revlon Strawberry Colorburst Lipgloss, urban decay perversion mascara. Bookmark the permalink. I love this look. It’s fresh and has enough amount of color in the face. Very Spring/Summer! Can’t wait to see more looks! 🙂 Lovely! Second post is up! ❤ Thanks so much for reading. The pinker tones would do that hee. I do like a deep glossy red though! MAC Viva Glam I Lipglass is beautiful when done with the right complementing makeup.